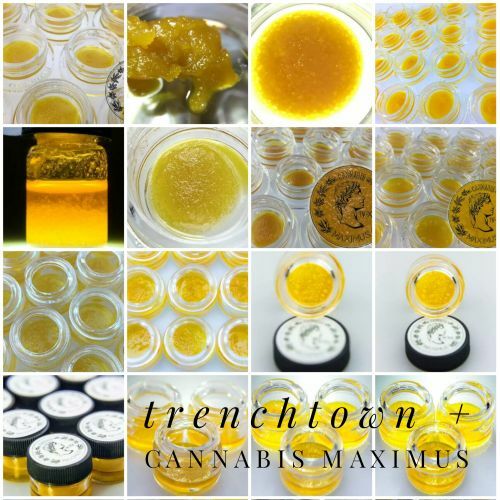 Drum roll please…Cannabis Maximus Full Spectrum Live Resins & Distillate have arrived at Trenchtown Recreational. Cannabis Maximus is a high end marijuana infused product manufacturer for customers that demand discerning flavors, the purest concentrates, and the freshest resins. 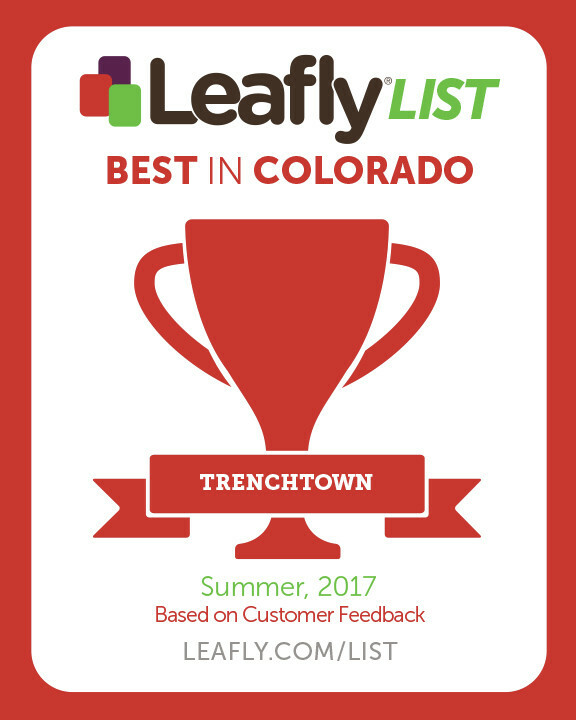 In addition to providing Live Resin and Distillate, they are producing small batch single strain runs of Trenchtown’s stickiest, terpiest marijuana flower. “At Cannabis Maximus, our aim is to push your cannabis experience to the limit. We love what we do, and we aim to deliver the absolute finest quality in all of our products. This means making concentrates that fully embody the character of the plant they came from, from the effects to the scents and flavors. When it came down to selecting the base solvent to create our extracts, we took a look at all of the options, their benefits and their drawbacks. At first, CO2 seemed like a very viable choice. CO2 is something humans create by simply breathing, so how harmful could it be if residuals were to remain in an extract? Unfortunately, the choice was not so simple. Residual solvent may not be a big issue, but CO2 requires very high pressures to act as a solvent. This, coupled with the low amount of cannabinoids a given volume of CO2 can dissolve increases the ecological impact of recycling the solvent, in that more energy is required to reuse it. In addition, the very high pressures involved affect what substances CO2 dissolves – in a single pass, the operator can choose to dissolve THC and other cannabinoids, or they can dissolve monoterpenes and other flavor compounds, but not both at once. This means that for a complete, flavorful extract, at least two extractions have to happen, and the products are recombined in the end. For us, this was too artificial of a process. Another option is Ethanol. Ethanol, the same alcohol we enjoy in beverages, has a great ability to dissolve active cannabis components. It’s also food safe, and the toxicity of ethanol is arguable (technically toxic, but we drink the stuff for fun!). However, it also has a great ability to dissolve other, undesirable components like chlorophyll if exposed for too long or at too high of temperatures. In order for the solvent to be removed from the extract, we have to apply heat and vacuum, and at this stage is where ethanol falls apart. The boiling point of ethanol is, compared to butane and CO2, much closer to the boiling points of many compounds we want to remain in the extract – the monoterpenes. This means we have to get the extract warmer, under higher vacuum, or for longer periods of time to remove the solvent. Unfortunately this carries many of those wonderful terps away. Finally we arrive at light hydrocarbon solvents – Butane and Propane. Other related chemicals such as Pentane, Hexane and Heptane have boiling points too high to be useful to us. Butane in particular has enjoyed a poor reputation on the internet, primarily from the obvious dangers when used by unqualified personnel. Since the recent discovery by unscrupulous people that shooting a can of lighter grade butane through some herbs would produce a golden, clear, flavorful extract, entrepreneurs have set their houses on fire, and consumers have been exposed to the dangers of using products not intended for food use. Butane produced for lighters can contain traces of other hydrocarbons, some very harmful. “Mystery Oil,” benzene and mercaptans are all found in lighter butane to varying extent. Dispensary Deals: Spin the Trenchtown “Wheel of Deals” all weekend Oct. 19th-Oct. 21st 2018 for your chance to win FREE PRIZES!